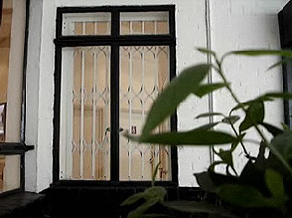 There is an increasing need for home security and office security. 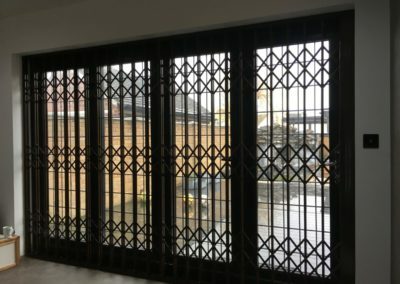 With break-ins and burglaries on the increase, these home deterrent security grille and gates are the ideal solutions for protecting your windows and doorways at home. 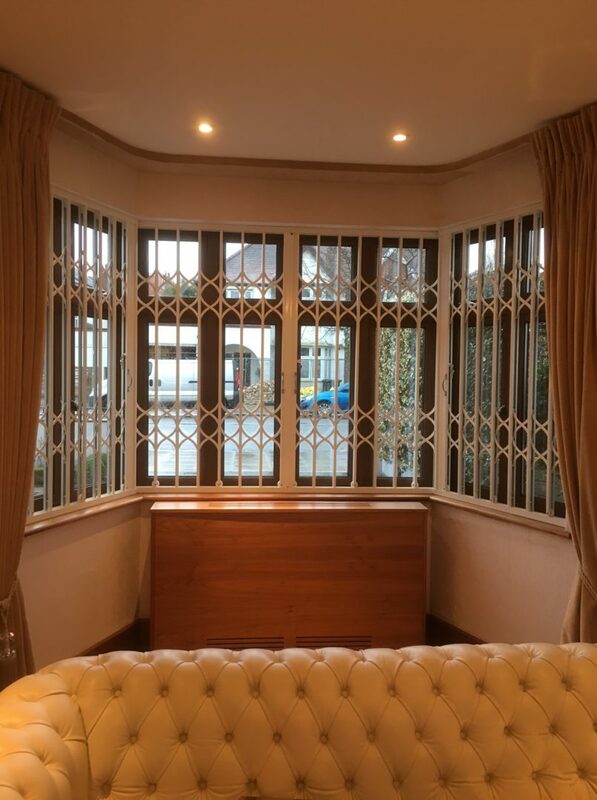 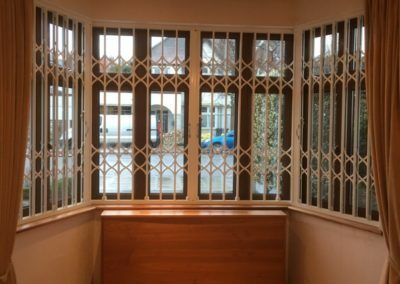 Our locking security lattice gates are ideal for windows and doorways in your home, they are not over intrusive and can still be decorative to suit the surrounding decor. 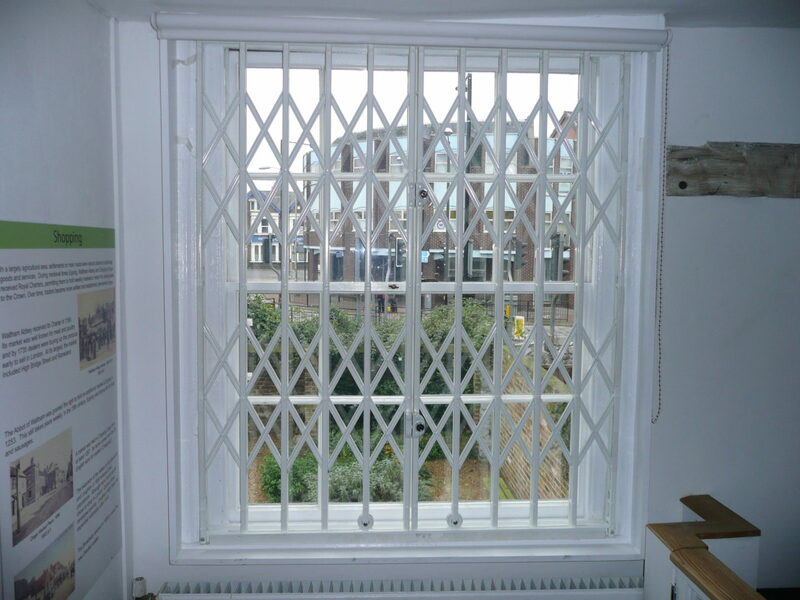 These are standard white in colour but are available in different powder coated colours if required. 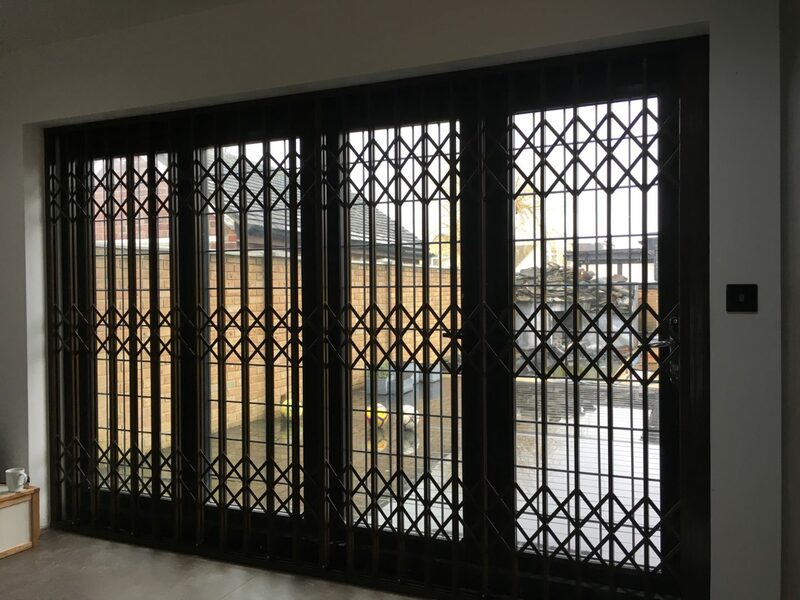 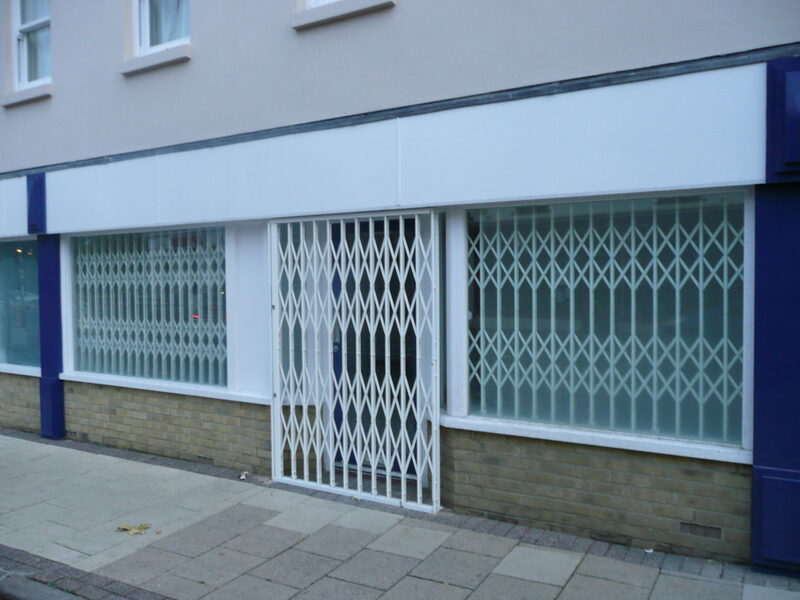 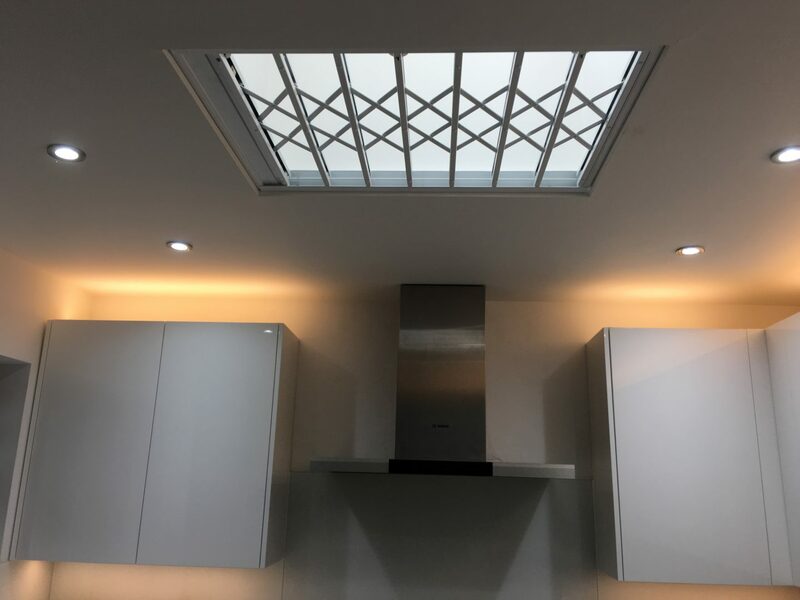 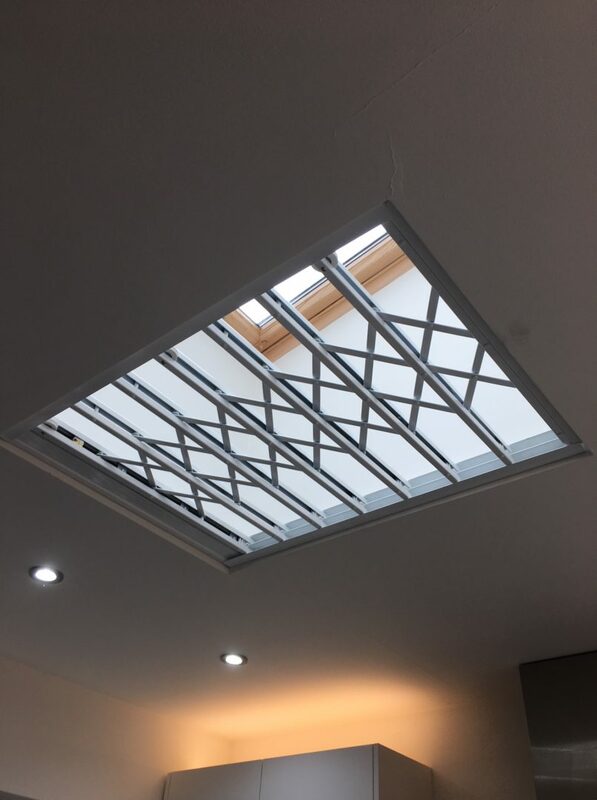 These grilles can also provide office and shop security, and as below, our other expanding style allows areas to be closed off from the public when required. 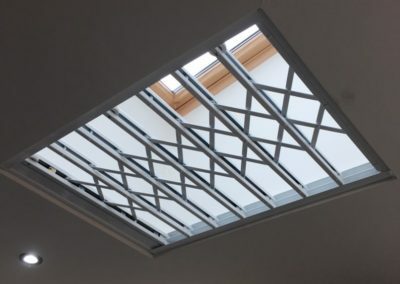 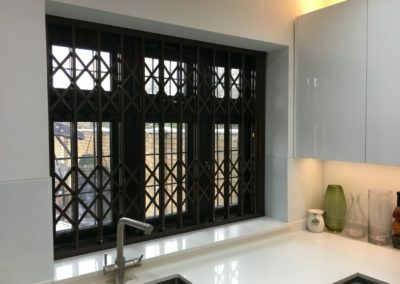 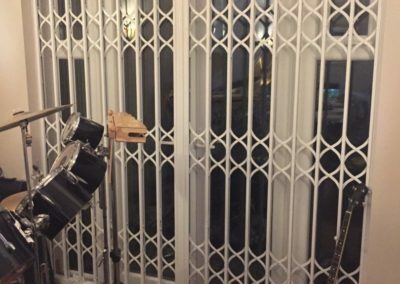 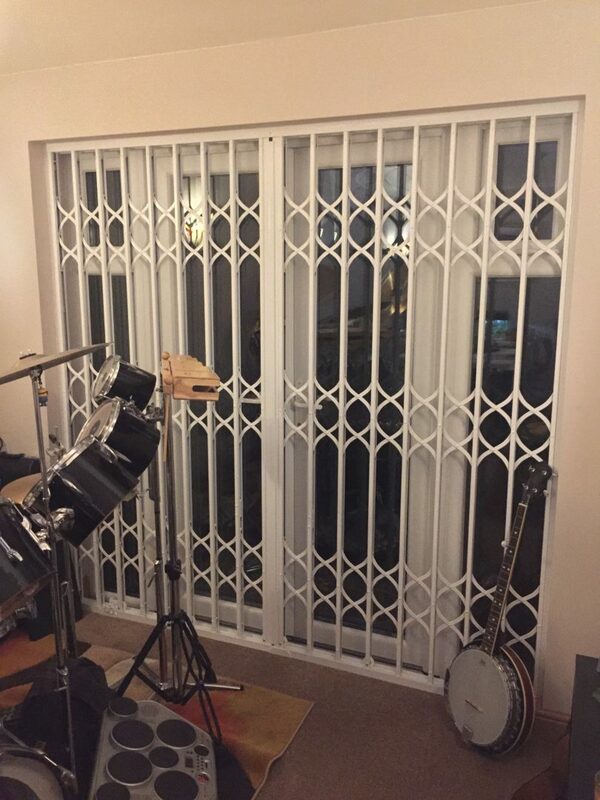 The security grilles fit most applications and can be opened to one or both sides to allow clear access through doorways, or clear vision through your windows. 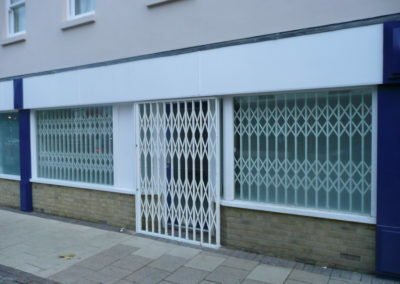 Please visit our showroom in Hainault to see these in operation. 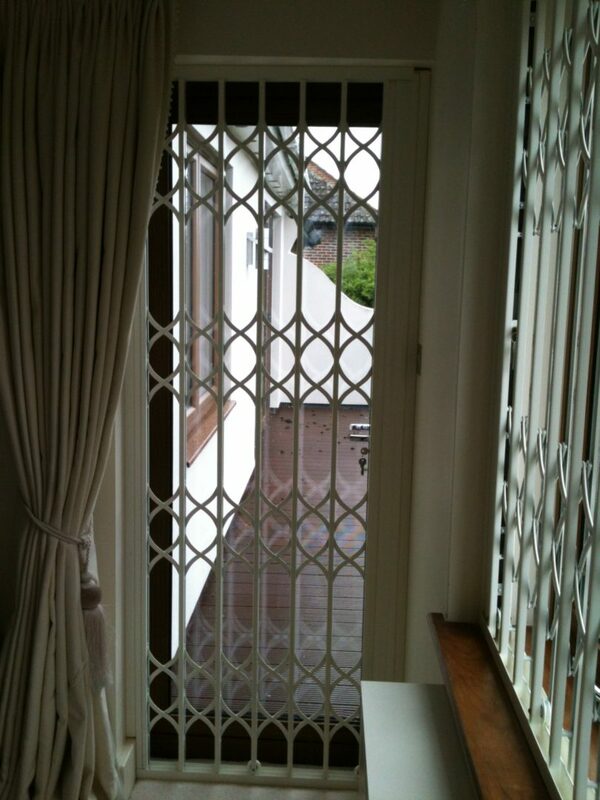 Security grille on patio door. 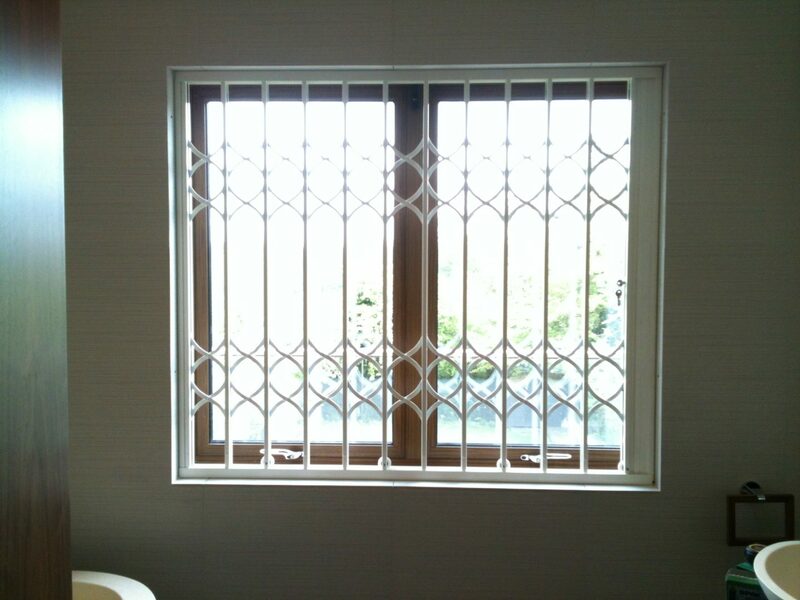 Security grilles on kitchen window. 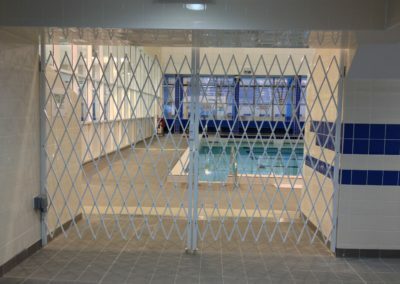 Security gate covering back door. 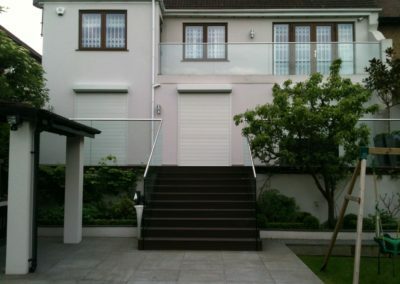 Brown security gates to protect back door. 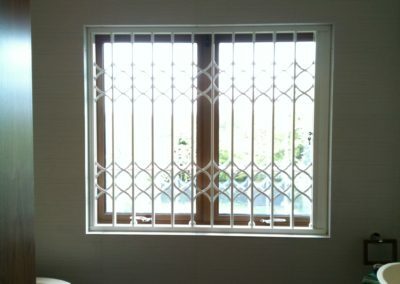 Home security grilles on top windows. 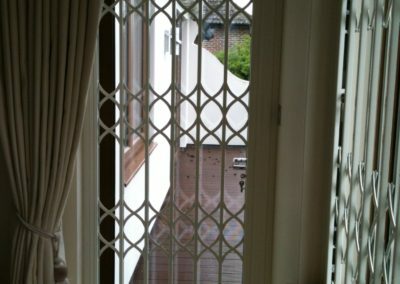 Internal white security lattice gate to protect the back door of the house. 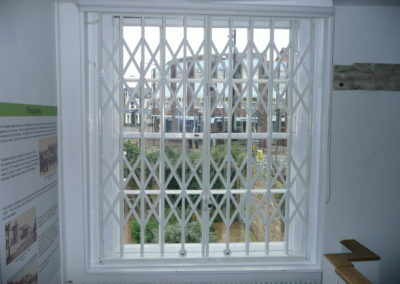 Office Security Grilles in London. 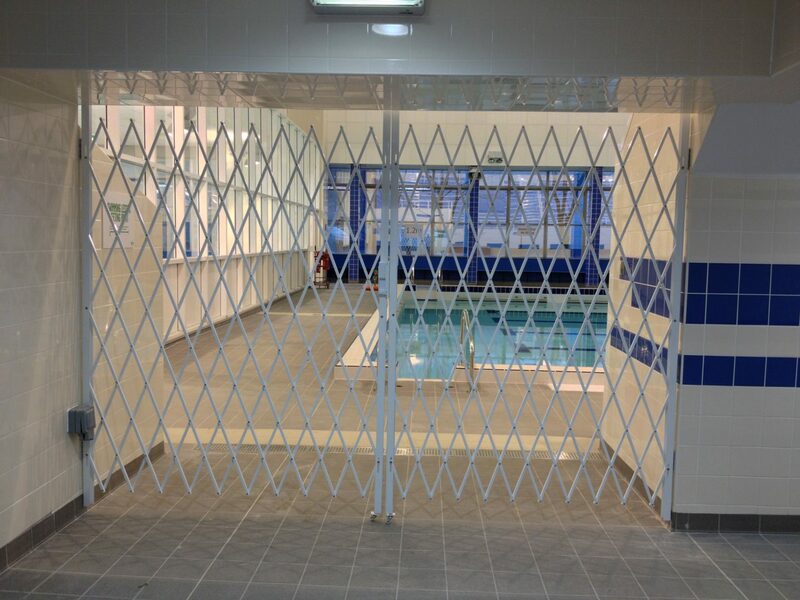 Expanding gate to section off areas from the public. 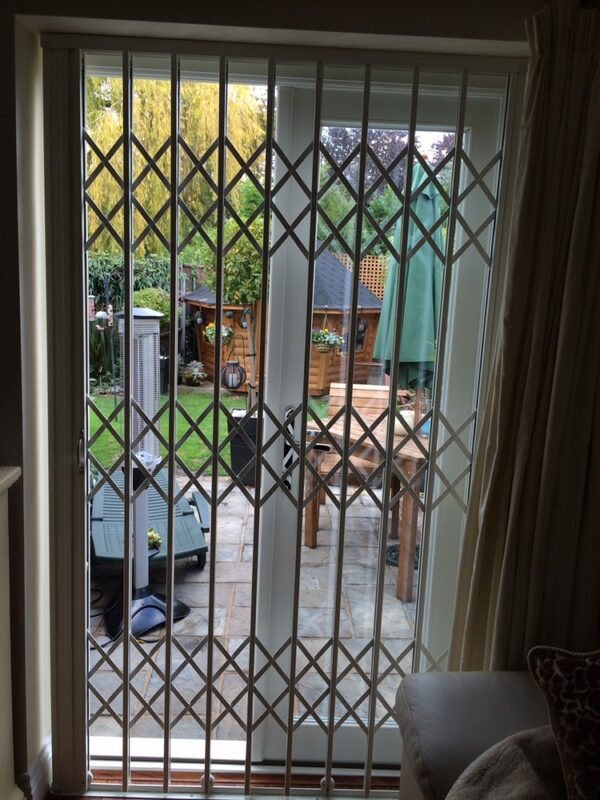 These security lattice gates can be fitted over any window to offer home security. 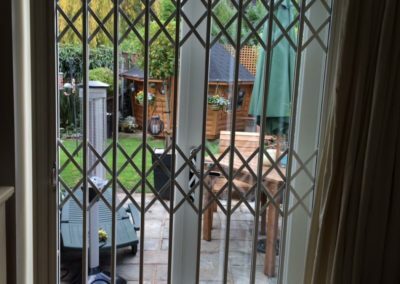 We supply home security gates to the following areas: Barking, Dagenham, Barnet, Bexley, Brent, Bromley, Buckhurst Hill, Brentwood, Camden, City of London, Croydon, Ealing, Enfield, Chingford, Chigwell, Woodford, Loughton, Epping, North Weald, Hornchurch, Greenwich, Hackney, Hammersmith, Fulham, Haringey, Harrow, Havering, Hillingdon, Hounslow, Islington, Kensington, Chelsea, Kingston upon Thames, Knightsbridge, Islington, Barnet, Harrow, Romford, Whitechapel, Greenford, Edgware, Enfield, Hayes, Uxbridge, Lambeth, Lewisham, Merton, Newham, Ongar, Park Royal, Redbridge, Richmond upon Thames, Southwark, Stratford, Sutton, Tower Hamlets, Waltham Forest, Waltham Abbey, Wandsworth, Watford, Wembley, Westminster. 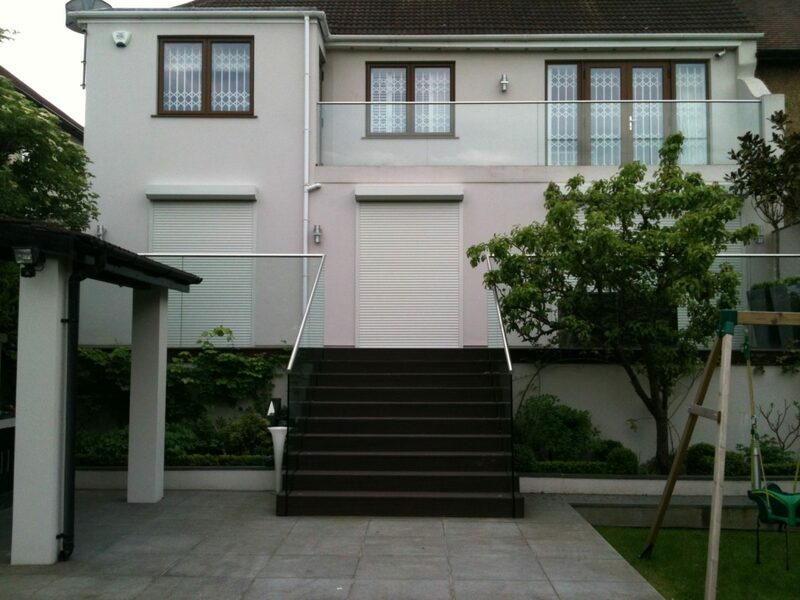 We cover all of Essex and London.